Compost is a beautiful thing for gardeners! If I could only put one thing into my garden it would be compost. I have been composting for twenty years now. 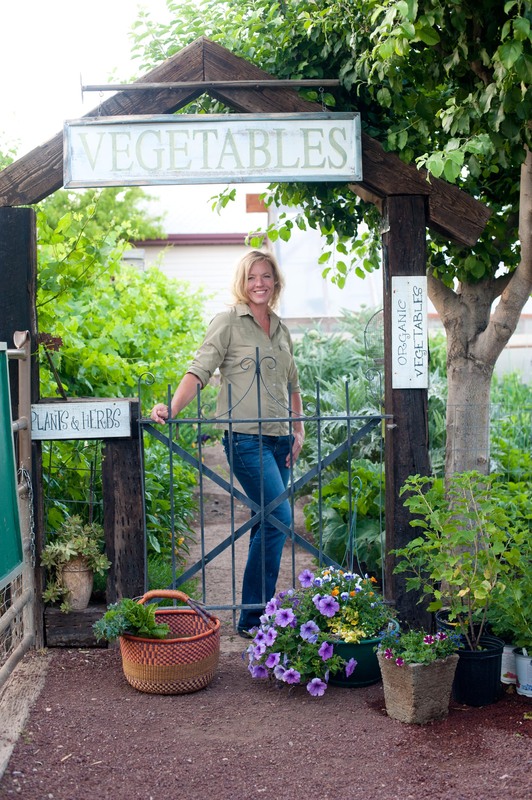 When I first started to garden I would just simply put the plants into the soil and expect them to grow. My gardens have since improved dramatically thanks to compost. When people come to me and ask what they should do to get their garden going I always say ” compost, compost, compost”. I think it is the first step! Composting can be as simple, or as complicating as you make it. I like to compost everything. 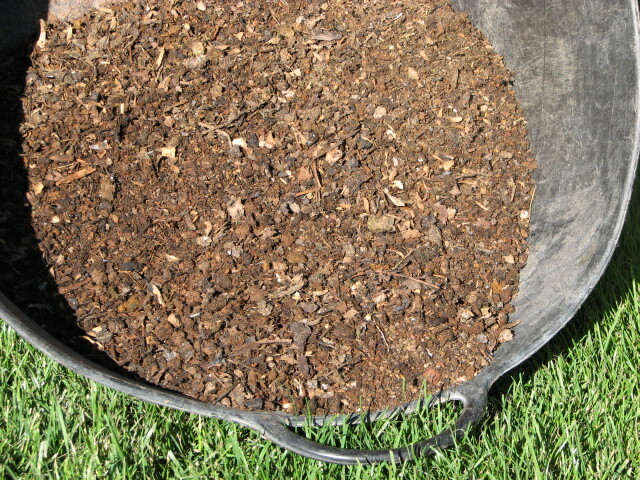 Whereas some like to add manures into the garden without composting, I will compost it first. I feel this way I still get the benefits of the manure without it robbing the soil of nitrogen and it also kills weed seeds that I would rather not deal with later. Composting choices are numerous, ranging from worm composting to what I call “dump and run”. Pick a spot in your yard for your compost pile, ideally near your garden for easier access and where the sun hits it for most of the day. You can just simply build a pile right on the ground with nothing around it, or you could use pallets, a wire fence enclosure or something of the sort to encase it for a more tidy look. I don’t like to make composting rocket science. For one, I don’t have the time, and two I’m not a rocket scientist! What I have available at the time is what I use. Water near by is a must because if it’s not…..well, we have a tendency to neglect giving our compost heaps enough water that it requires and if we have to drag a bucket it probably won’t get done. At least that would be in my case! One thing to get out-of-the-way and I can’t stress enough! DO NOT use synthetic fertilizers (chemical) to heat up your pile! Compost is made when billions of microbes digest the waste you provide for them. Think about it. Would you eat a cup of synthetic fertilizer? Of course not, because it would be lethal. Yes, it will decompose with synthetic fertilizer, but I prefer not to add such things that will go in the garden and then my body. Carbon, Water and nitrogen are the key ingredients. I like to have bare earth beneath my compost to allow worms and other organisms to get into the pile. For better drainage you can add straw or twigs for the first bottom layer. Start layering greens (nitrogen) and browns (carbon). Like I said I use what I have. If I have loads of fresh grass clipping I don’t add much water, because there is enough moisture. Add kitchen scrapes, leaves, garden waste or wood chips for layers. When adding a new layer I like to add a handful of blood meal and bone meal. Every layer gets a little stir. Your compost needs to be moist, not soggy to break down. Like a wrung out sponge. I cover my pile with burlap to help keep the moisture and heat in. You can turn your pile every few days, every few weeks or just let it sit and rot. The moral of the story is-everything rots. The hotter the pile the faster it will decompose. Chopping or shredding your materials also helps speed things up. Water occasionally. Nitrogen materials consist of: grass clippings, kitchen waste, coffee grounds, eggshells and chicken manure. Carbon materials: dried plants, straw, newsprint, cardboard, dryer lint and wood chips. Things you shouldn’t compost: meat, bones, milk products, diseased plants, weeds with seed heads, walnut leaves and roots from pernicious weeds. Some people add wood ashes and that’s okay if your soil pH is low (acid). I don’t because our area has a high alkaline count. If your compost is soggy and/or stinky, turn the pile to aerate and you can add some dry peat moss to tame it. Things that I keep near my compost pile: Pitch fork for turning, blood and bone meal, machete for chopping, compost thermometer and burlap. An unknown author once said; You know you’re a real gardener when you think compost is a fascinating subject. I’m not a composting kind of gal. :-) What kind of compost would you recommend, I purchase to amend this Mississippi Clay..
Compost of most types help with clay soils. We have plenty of that here as well! We have used so many different types of compost. Wood based, manure based, worm, mushroom….All has done nothing but improved our soils over time. If your soil is really tight and you want to speed the process up, maybe you could add some organic perlite to break it up a bit. We added a rather small amount, 4 cu ft to a 3×25′ bed and the drainage and root penetration improved greatly. Thank you! It was so good and an easy method to make a composting bucket with my cub scouts. The compost has been in the bucket a few weeks and it looks beautiful…but it’s got little brownish bugs in it. They look bigger than maggots but smaller than worms. I could send you a picture. I just want to know if the compost is ok to use for planting. thanks!